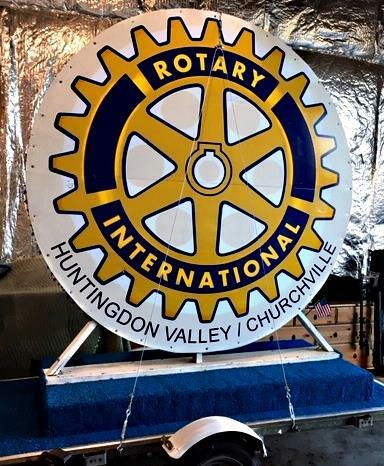 Huntingdon Valley-Churchville Rotary always strives to increase its visibility. Many thanks to Drew Slousky and crew for remounting our Rotary wheel on a newly donated utility trailer. Look for a fresher and brighter Rotary presence at future community events.